We have a responsibility to fund where we are needed. Do we know where that is? I began 2019 with members of the Northern California Grantmakers Board and staff in Selma and Montgomery, Alabama. 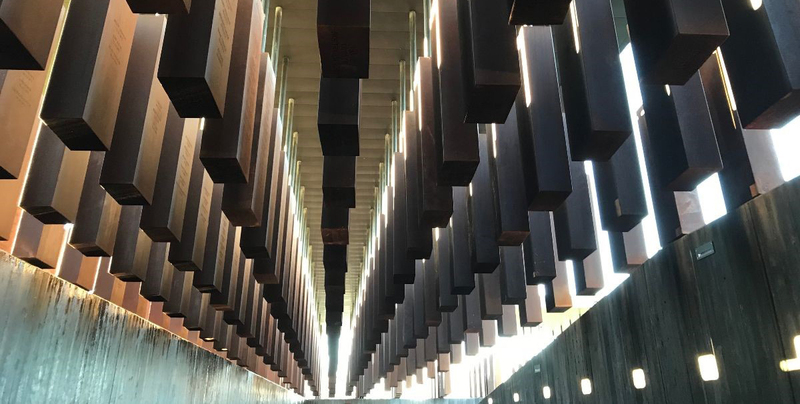 The purpose of our trip was to visit the newly opened National Memorial for Peace and Justice, dedicated to preserving the memory of the more than 4,400 documented lynchings that occurred between 1877 and 1950. I was prepared for the visit to be emotional and deeply moving, but was unprepared for it to be as personal as it became. We entered the memorial in front of a sculpture of African American adults and children in chains — one of the most moving and powerful I have experienced. From there, we walked through an outdoor auditorium of metal slabs — slabs that remind you of large headstones and represent all the known individuals whose lives were taken through this form of sanctioned terror. The markers are arranged by state and county, making the volume of people killed in each small community clear and cutting. My roots are in the South. I was born in South Carolina, and have fond memories of my time at my grandparents’ house, playing with my cousins and doing the things you were able to do as a child in a small town. But, I also have memories of the things I could not do, like go to certain parts of town or certain parts of the local lake. As I walked passed the slabs, I found the ones for the counties where my family lived and took in the names of the dozens of people listed. The towns where my relatives are from are very small, so it is almost certain that the people who lost their lives in those counties were part of my grandparents’ and relatives’ communities. These were friends and neighbors, brothers and sisters, parents. And this practice persisted for more than a century. We closed out our trip by traveling the 54 miles from Selma, Alabama to cross the famed Edmund Pettus Bridge where 600 African Americans were attacked and prevented from crossing as they marched for the right to vote. The marchers and their supporters persisted, and thank goodness they did. Two weeks later, a successful march from Selma to Montgomery was made, marking an important turning point in the Civil Rights Movement. As I continue to reflect on these two experiences, I am acutely aware of the essential role and deep power of civic engagement. I am mindful that, as a foundation leader, it is unlikely I would have been able to provide financial support for a ragtag group of young people, with no formal organization, no fiscal sponsor, no logic model, and no clear timeline for when they would achieve their objectives. And if we would have overlooked them then, who are we overlooking now? 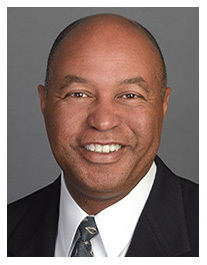 How can we expand our vision as philanthropic organizations to be receptive and support the modern-day version of this essential civic unrest, marching in protest, and rejecting unjust laws? We need to engage and support the voices of our younger adults. The energy and persistence of the civil rights movement came from high school and college-age youths determined to stop racial terror and injustice in our country. Democracy requires participation and active engagement to uphold its duty to its voiceless and powerless citizens. I am deeply proud of the work of our foundation and our partners. We are touching the lives of thousands of people as we strive to make educational and employment opportunities available and equitable. But, I can’t help but wonder, what am I missing? What are we missing? If the next march from Selma to Montgomery were being organized right now, would we recognize it for what it is? As a society, are we committed and ready to respond? NCG member The Stupski Foundation announced that it hired Elvin Padilla and Jennifer Nguyen to help the Foundation launch its spenddown strategies. Elvin joins the team as the Foundation’s director of Food Security and Jennifer as the director of Postsecondary Success. The Bay Area’s global reputation for innovation, natural beauty, and a high quality of living can make it easy to underestimate the depth and range of needs facing many across the region. Wang Kong joined the Foundation four years ago as a program officer, quickly rising to the position of senior program officer, and earlier this year she was named interim chief program director.